This fun toolbox will provide tools little ones can safely use. 1. Gather your material. 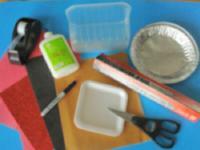 You will need an aluminum pie plate, a Styrofoam tray, a rectangular plastic basket (kiwi basket), white glue and/or hot glue, scissors, scissors with a serrated edge (not shown), aluminum paper, red fun foam, adhesive tape, three sheets of red construction paper, sandpaper, and a marker. 2. 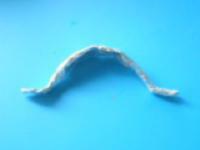 Turn the sandpaper over and draw a handle for your saw as shown. Cut it out. 3. 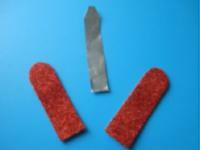 Deposit the handle on the sandpaper and cut out a second identical shape. 4. 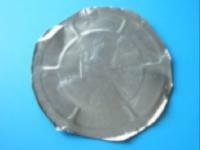 Cut the centre of the aluminum pie plate. 5. 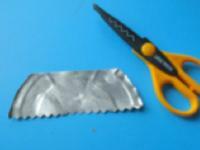 Cut a saw blade shape, using scissors with a serrated edge on one side. 6. 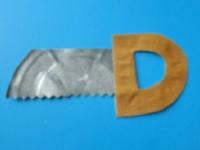 Glue the saw blade between the two sandpaper handles. 7. 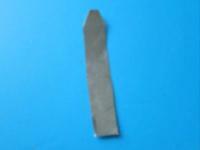 In what is left of the centre of the pie plate, cut a screwdriver tip shape. 8. 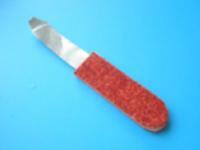 Cut two screwdriver handle shapes out of the red fun foam. 9. Glue the screwdriver tip between the two screwdriver handles. 10. Cut a rectangle out of the sandpaper. 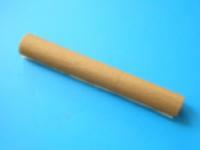 Roll it up to form a small tube and glue the end in place. This will become your hammer's handle. 11. 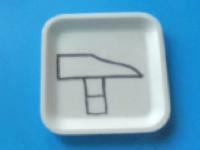 Draw a hammer head on the Styrofoam plate and cut it out. Be sure to keep a small piece beneath the hammer head for the next step. 12. 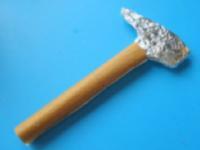 Wrap the hammer head with aluminum paper and insert it in your sandpaper handle to complete your hammer. 13. 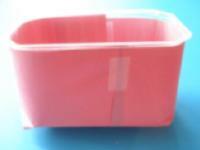 Use two sheets of red construction paper and adhesive tape to wrap the bottom of the plastic basket. 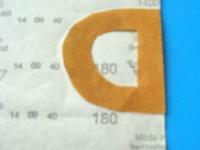 Let children use as much adhesive tape as they want. This will be a great manipulation exercise! 14. 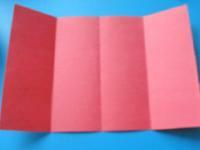 Fold the third piece of construction paper in two. 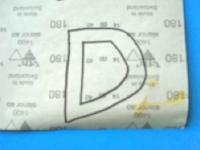 Open it and then fold each section towards the centre to create four sections as shown. 15. 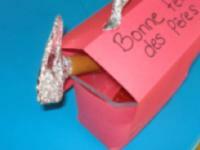 Roll a piece of aluminum paper and shape it with your hands to make it look like a toolbox handle. 16. 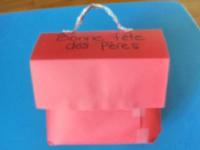 Attach the folded piece of construction paper to the top of your basket to represent the lid of your toolbox. Glue the handle on the top. 17. Slide the tools in the ends of your toolbox and you're ready to go. 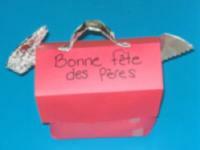 For an original Father's Day card, help children write "Happy Father's Day" on the top of the toolbox!